30" Large Happy Birthday Magnetic Car Bow! 30" wide Large Happy Birthday Car Bow. 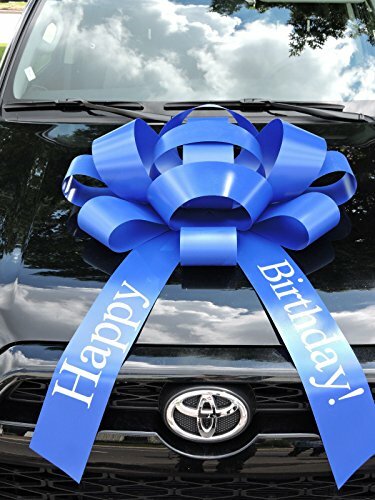 Make Their Birthday Extra Special with our exclusive 30" Large Happy Birthday Magnetic Car Bow! Material : Vinyl.Size : 30" wide with two 30" long X 4 ½" wide tails.Color : Blue.